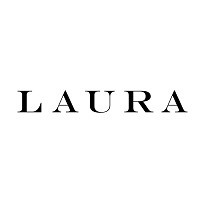 Laura is the retailer Canadian women trust for stylish fashions that flatter & fit her lifestyle. Laura's signature collections include career wear, casual wear, special occasion dresses, outerwear and accessories. Their expert stylists offer honest, personalized service, practical advice and are always available to help find the right outfit for any occasion. Laura: sizes 4-18. Laura Petites: sizes 2-16 and designed for women 5’4” & under. Laura Plus & Plus Petites: sizes 14-24. Visit Laura today at Montreal's favourite place to shop, CF Galeries D'Anjou.